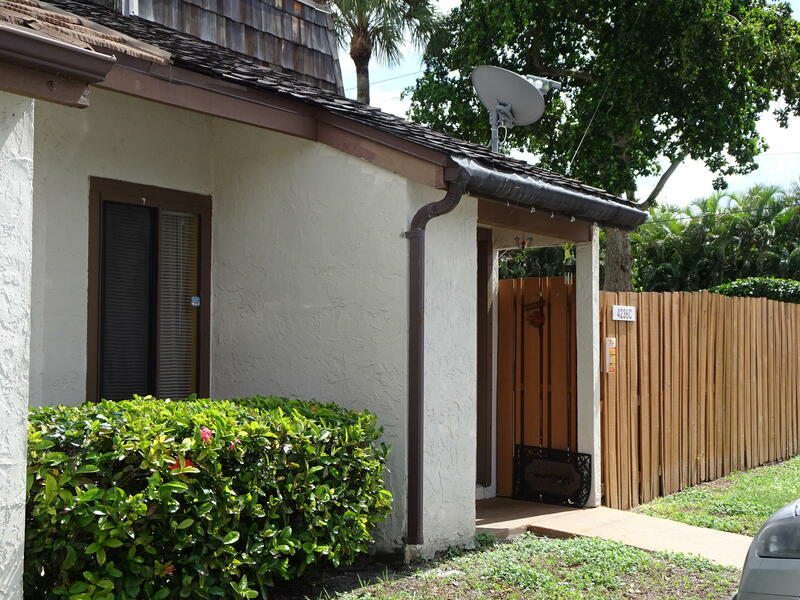 Quaint complex within minutes to Southern Blvd, I-95, Palm Beach International Airport, Main Post Office, downtown West Palm Beach and so much more. 1 Bedroom downstairs another upstairs, Newer Kitchen and Bathrooms. Community amenities offers pool and Tennis courts. Cable and common bldg insurance included in HOA payment. No rental restrictions and all ages welcomed!.